Tincat Group provides management, mobile, and web application consulting for software companies, business IT shops, and educational institutions. We help software providers enhance their offerings and software companies expand market reach. We specialize in working with seasoned software companies with long-standing applications. This includes MultiValue, COBOL, Perl, PHP and other applications. We like working with seasoned application software developers who have a goal of providing new feature sets, user interfaces, or business intelligence offerings for their customers or end-users. In addition to long-standing application software providers, we have experience with appllication software company start-ups and third-party software providers. We have considerable experience with educational institutions, manufacturing companies, and with assiting small to mid-sized corporations. One of our sweet spots is helping software companies thrive, addressing the challenge from multiple angles. We have many decades of experience with both MultiValue and SQL applications and have also done some work with other NoSQL databases. We have been providing software consulting services for businesses and higher education since 2002. 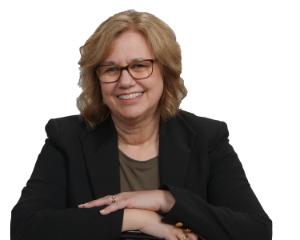 From Dawn Wolthuis, President: "We can help you position your application software product line for the future, from product marketing to software architecture, from project management to implementation. We would love to assist you in developing or implementing your strategic directions and in helping you hit it out of the park on your current projects. If the technology works and the politics are getting you down; if you could use a strategic collaborator related to the integration of information systems with people; if you are feeling stretched too thin; or if you simply want to run your situation past a qualified, interested party, feel free to email us for a free consultation." We tackle challenging projects and opportunities where we see a good fit, and we have a network of colleagues who might be ready to tackle projects where their interests and skills would align better with your needs. In either case, we look forward to hearing about your unique situation to discuss how we might help. © 2018 Tincat Group, Inc.